I had been bitten by a seed tick. I had the worst of the symptoms. I went to the emergency room (ER) after 2nd day of 102 fever. There were blood tests, urine tests, IVs. It took 2 more days to determine the illnesses. I was diagnosed with Lyme disease and Rocky Mountain spotted fever. I was told I was in the start of kidney failure as a result of the extreme dehydration. I was given antibiotics and admitted to give me fluids. 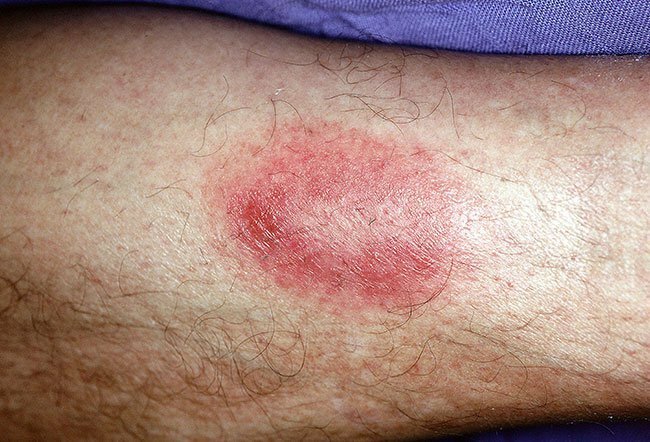 If anyone has any flu like symptoms after a tick bite, I urge you to seek hospital and ask them to look for Lyme disease and Rocky Mountain fever. It may save your life. Two days after I removed the tick I started feeling nauseous and dizzy followed by joint pain, back ache, headaches and extreme fatigue which got progressively worse. My skin felt like it was burning but I didn't have a rash. On day 10 I went to the doctor who prescribed doxycycline 100 mg and painkillers. I'm on day 2 of medicines and not yet feeling any relief. My tick bite occurred right above armpit. It was removed in a timely fashion, and examination of tick seemed to suggest that we got the whole tick out. The bite site was sore and tender, and erupted into something the size and shape of a pimple. Now here is the strange part. After a week or two, it goes away, only to return the next week. My little tick pimple has been cycling between present and absent for close to half a year.